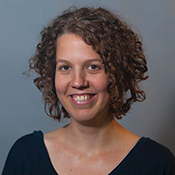 Human Rights Practice is a one-person consultancy founded by Alicia Dibbets. I possess an LLM degree in International Human Rights Law. After having worked for various organisations within the human rights sector I have now established myself as an independent researcher and trainer. Organisations that I have worked for include: IFHHRO, SIM, the Netherlands Institute for Human Rights, and Human European Consultancy. More information about my background is available on my Linked-in profile under Contact. Examples of my work can be found under Services.